The forever-asked question in the concealed carry market is, “Which holster should I purchase?” I’ve been asked the question numerous times, and my answer is never brief. Heck, there’s a lot that goes into choosing a holster to safely hide a firearm on your body. This list of criteria gets even longer when it’s a woman who wants to know which holster is going to be best. While you want to choose a holster that will fit your Beretta, you additionally need to look for one that will secure it in place and protect the trigger. If you live near a store that sells concealed carry items, it’s best to get your hands on and feel them out. You can also do as so many others before you have, and ask a friend. The problem I have with asking others about holsters is that we are all different shapes and sizes. We have varying wardrobes and fashion sense. The holster you need is going to depend on more than one quality. As of late, I’ve also been reading a lot of reviews. Don’t trust them unless you know they're from a credible source. Some are only pointing out the plusses and neglect to tell you the minuses. Let’s look at a few pros and cons you should consider. Concealability is probably at the top of everyone’s list. You want a holster that can hold your firearm on your body in a manner that reduces imprinting. After all, the whole point of concealed carry is "concealment." On the other hand, it's not the only quality to consider. 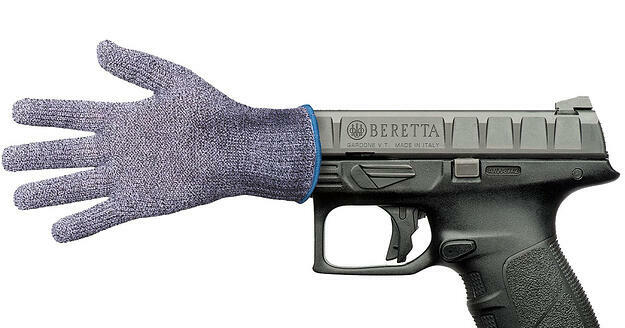 If it's not safe, secure, and easy to access, then concealment doesn't help you much. Security of the firearm tops the list for me. I don’t want the gun creeping, or worse yet falling, out of the holster while I’m partaking in everyday tasks. The holster needs to have a method of securing the firearm into it, be it a strap, latch, or tension method. The method as to which the holster attaches to your body, pants, or other garments needs to be secure as well. Some universal "wrap style" holsters attest that you can secure them to any part of your body. I’ve found that these can slide or roll as your body moves. This non-secure attachment may cause the firearm to move into an unsafe position. It can even fall free if it moves into a narrower portion of your physique. Ease of draw must be another quality you consider. If your firearm is secured by a hasp, clasp, or another device this may limit how quickly you’ll be able to produce your firearm in an intense moment. Test these features and see how easy it’s going to be to draw under pressure. The body location you choose as your point of concealment and angle of the handgun may also play a role in how quickly and safely you draw. Some holsters allow you to remove the gun without the muzzle sweeping yourself, while others make that unavoidable. Holstering is an action many concealed carriers often neglect. We spend so much time rehearsing what we would do in a live fire scenario that sometimes the thought of how to get the gun back into the holster without injuring ourselves is forgotten. Find a holster that allows you to safely stow the gun, without the chance of trigger depression. Construction of a holster is something I’ve really noted in recent reviews I’ve read. I’ve purchased numerous poorly built holsters, later read reviews, and noted that the poor quality had been neglected in the original review. Some of these quality features are as simple as waistbands that are not strong enough to support the weight of a handgun. Another flaw I’ve encountered is that which has nothing to do with the actual holster, but that of no hem stitching. On a pair of CC shorts, the hem rolls up the leg. You can’t see my pistol, but, hey, look at that lumpy hem on my thigh! Choosing holsters can be a frustrating task. It’s important to look for one you’ll be satisfied with, so you don’t end up with a drawer full of holsters, like many of us have at our homes. Advice from those who have that hands-on experience is always beneficial, but take caution and look for those pros and cons before you spend your hard-earned money.